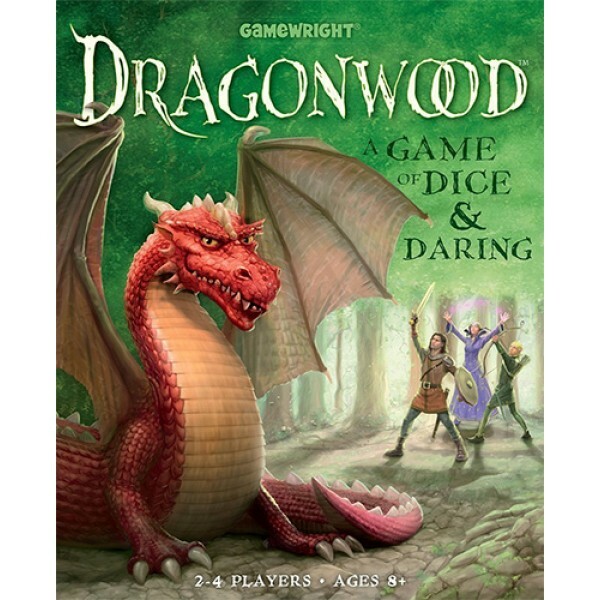 Enter Dragonwood -- if you dare! Ogres, goblins, and even dragons live in the depths of this forest, and your goal is battle them and emerge victorious. Players collect adventurer cards to earn dice that you roll to attack these dangerous foes. 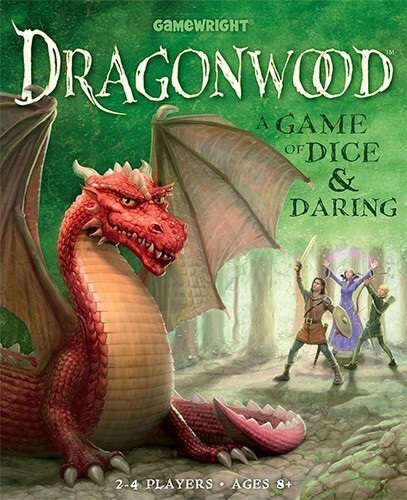 But they have to choose carefully, because the Dragonwood is constantly changing; give up too many advantages on lesser creatures and you'll be helpless when you have the chance to defeat the dragon. This beautifully illustrated edition of Darren Kisgen's popular prototype game is sure to be a favorite. 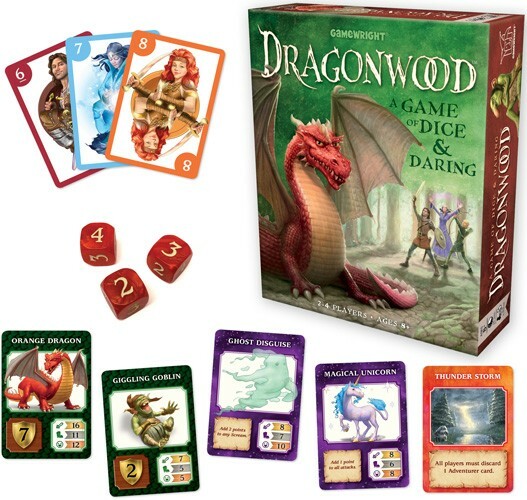 This game for 2 to 4 players includes 60 Adventurer cards, 42 Dragonwood cards, and 6 six-sided dice (with altered numbers to keep results more consistent). It takes approximately 20 minutes to play.